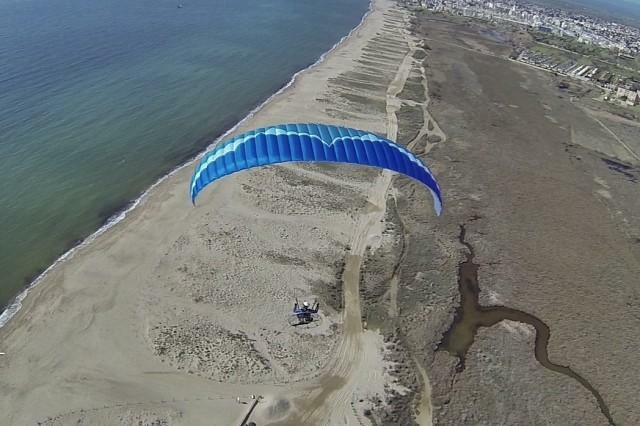 The Spark is the ideal choice for your first paramotor flights. In the beginning, paramotoring can feel complicated and cumbersome, and the Spark is designed to make your first flights as safe and simple as possible, with an incredibly easy launch and highly forgiving in-flight characteristics. Simply put, with the Spark, your PPG progression will be faster and more enjoyable. 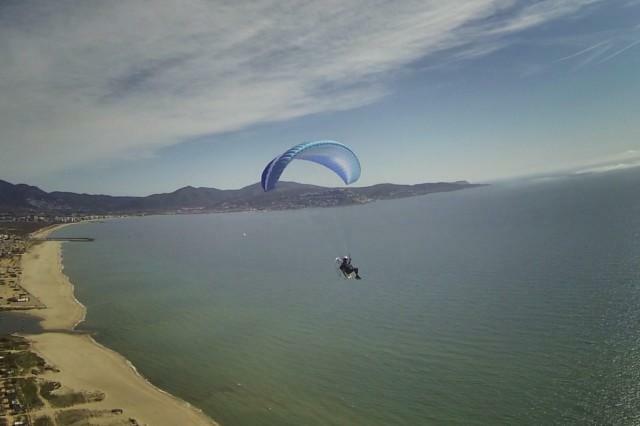 The OZONE R&D Team includes several paragliding and paramotoring instructors with a deep understanding of the characteristics needed to launch safely and easily. With a smooth and progressive feel, the Spark transmits a gentle but positive pressure through the risers so that you can feel exactly where it is at all times during the launch. 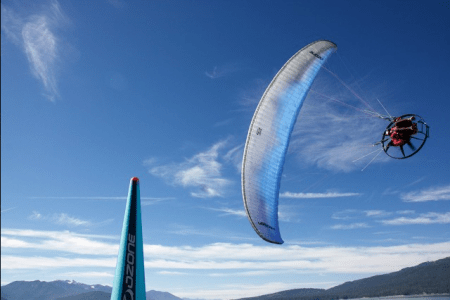 While forward or reverse launching, the wing has no tendency to overshoot or hang back, and rises overhead with minimal effort. Thanks to an optimized sail construction the glider is both light and strong. 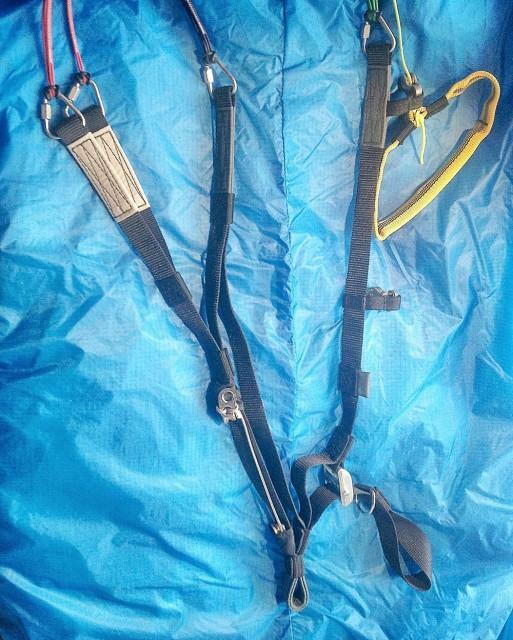 A pitch-stable profile ensures a gentle rise and easy ground-handling. 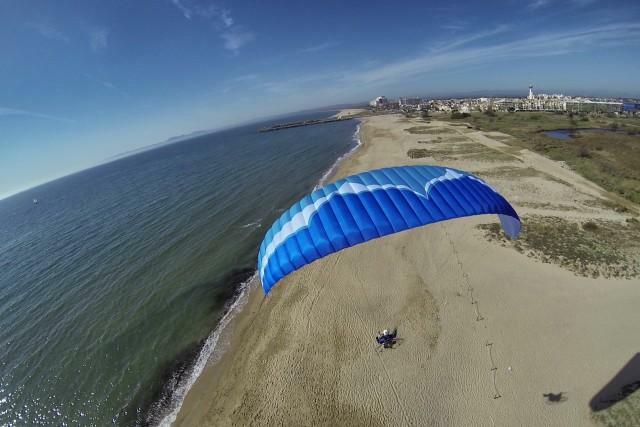 In the air the Spark is a joy to fly, with intuitive handling and a balanced and progressive feel in the turn. The brake pressure builds continuously as it is applied, with extremely clear feedback as the glider nears the stall point. After much testing and development, we have managed to make the brake range very long, minimising the likelihood of accidental stalls, whilst still retaining agile handling and easy landing characteristics. The progressive nature of the handling gives the Spark great turning behaviour with or without weight-shift; which is an ideal characteristic in a motor wing. 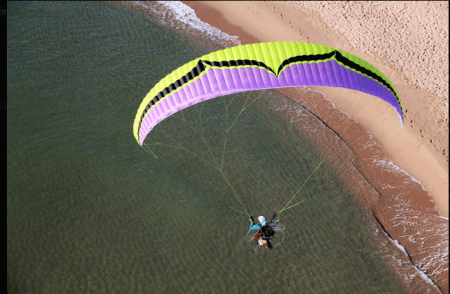 The Spark has a large usable speed range; at full speed the leading edge remains solid, even in turbulence. It is very damp in pitch, which helps it to cut through turbulence efficiently, and also makes it very resistant to deflations with excellent re-inflation characteristics. 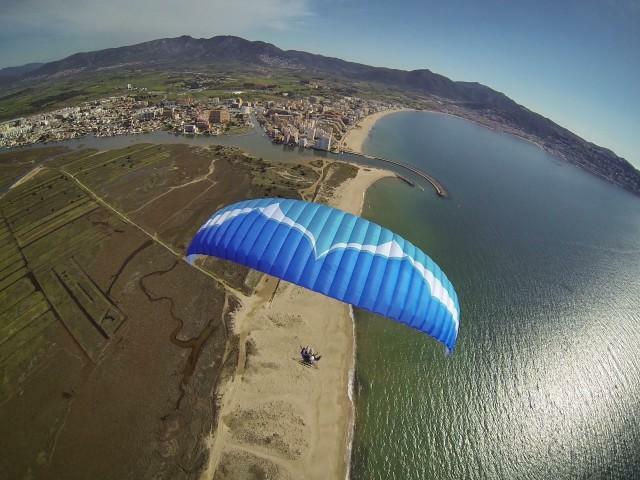 Its high stability in pitch and roll creates an overall feeling of comfort and uncompromised safety in flight. 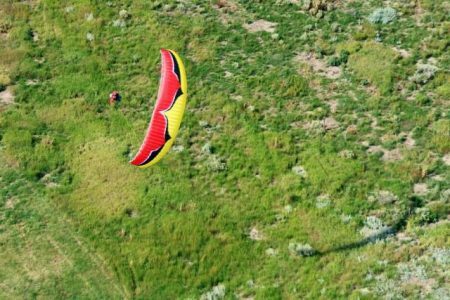 Every launch is followed by a landing, and the Spark’s powerful flare makes PPG landings as easy as possible, even in no-wind conditions. The Spark is constructed from the well-proven 30D, which has been developed and improved over many years in cooperation with the manufacturer, Dominico. It is now used widely in our range. The Spark is light and durable with special PPG trim risers and EN certification. 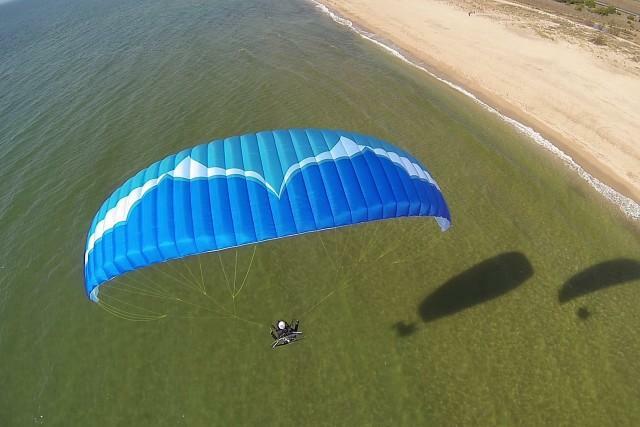 The Spark is the easiest and most reassuring PPG wing that we have ever flown, and we think it is the perfect choice for any aspiring PPG pilot’s entry to the sport. Any PPG pilot who wants the ultimate in simple launching, easy ground-handling, and uncompromised in-flight passive safety will enjoy the reassuring and enjoyable flight characteristics of the Spark. Happy motoring, and don’t forget to let us know what you think! Cheers from all the Team.